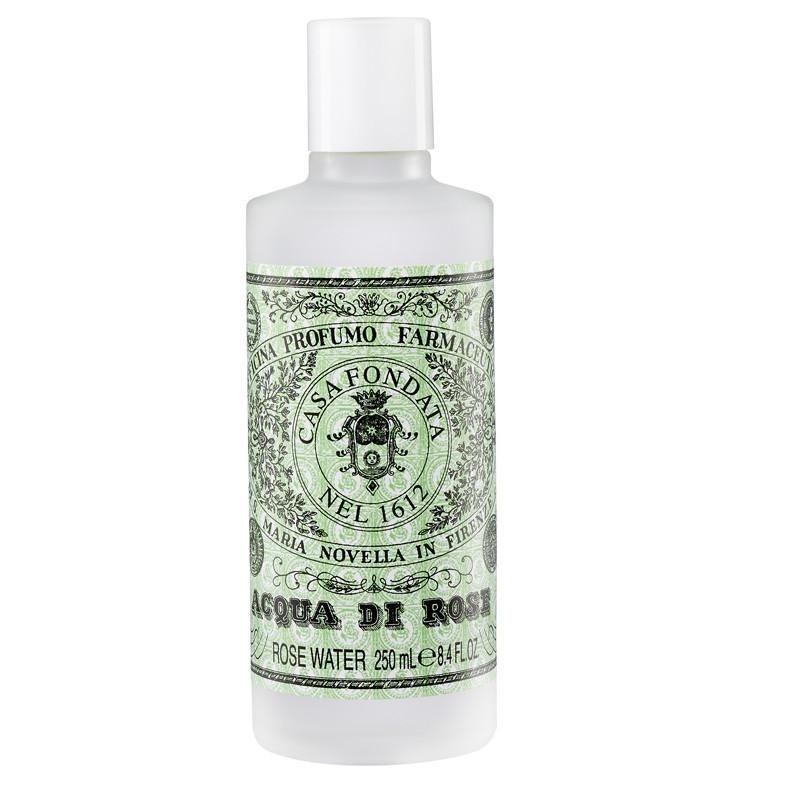 One of Santa Maria Novella's Signature products. An original recipe, this refreshing alcohol-free potion famous for its antiseptic, purifying and anti-oxidant properties, reduces puffiness under the eyes, protects the skin against aggressive environmental elements and relieves tired, aching muscles in the bath. Rose water is a natural moisturizer and has a claming effect after periods of exposure to the sun. Splash on abundantly. Use for temporary relief from migraines by soaking a clean wash cloth in rose water and placing it over eyes and nose - breathe in vapors. Use rose water to wipe away any residue from make-up removal or extra sunscreen on face.